Home » Health » What Is Bacteremia? Bacteremia is a condition when there are bacteria in the bloodstream. Under normal circumstances, the amount of bacteria entering the bloodstream is low and the body's immune system can quickly act to remove the bacteria. However, if bacteria survive long enough in large amounts in the bloodstream, this condition can cause serious infections to sepsis. Bacteremia that leads to infection, susceptible to people with weak immune systems. Digestive disorders, such as diarrhea, vomiting, nausea, and abdominal pain. Rashes all over the body. 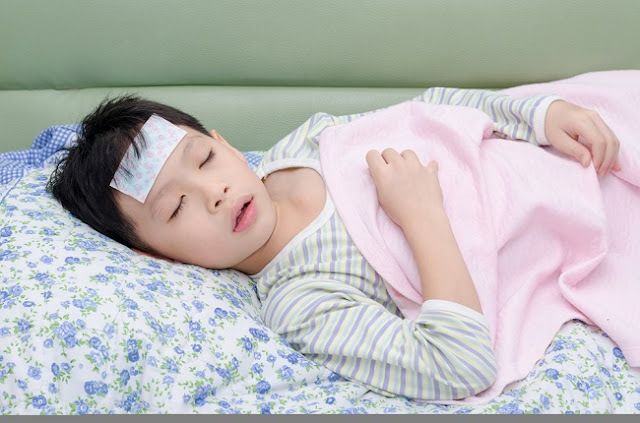 While additional symptoms in children can be shown with a fussy and difficult to eat. Bacteria that enter the bloodstream can enter spontaneously as when brushing your teeth or through the food you eat. In addition, these bacteria can enter through infection in other body parts, such as the lungs ( pneumonia ) or urinary tract. Bacteraemia can also occur due to the installation of a device in the body, such as a urinary catheter, or surgical procedures and wound care. Have a weak immune system, such as cancer or HIV / AIDS. While undergoing treatment that can weaken the immune system, such as chemotherapy . New infections, such as pneumonia. Has a chronic illness, such as diabetes or heart failure. Determination of the diagnosis of bacteremia can be done after a physical examination and investigation by doing blood culture, ie blood samples placed in certain media to see the growth of certain bacteria in the blood. Before the culture examination can be done complete blood cell count examination, rate of sedimentation of blood, C-reactive protein (CRP), and procalcitonin to see the infection in the body. In addition to blood tests, urine examination, feces, and X-rays can also be done to find the source of infection. The main goal of treating bacteremia is to eliminate the source of bacterial development. Handling can be done through the provision of antibiotics to treat bacterial infections. Antibiotic drugs may be given in oral or injectable form. If the source of bacteraemia is suspected to come from the installation of a device in the body such as a urine catheter, in addition to providing an antibiotic patient, the doctor will also remove it whenever possible, or replace the device. Sometimes surgery is also needed to clear an abscess or remove an infected tissue, if it does not improve with antibiotics. Preoperatively administered antibiotics, or prior to dental action. Immunizations, such as pneumonia or influenza vaccine. 0 Response to "What Is Bacteremia?"